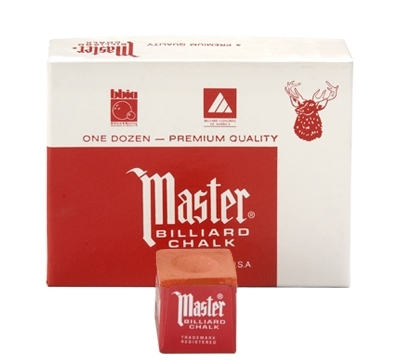 Master Chalk has the texture that transforms smoothly and evenly to your cue tip. It forms the proper coating to prevent miscues and insure player satisfaction. And with so many colors to choose from it's easy to coordinate your Master Chalk with your table cloth.